Act I opened with Anthony Loa’s large ensemble piece entitled, Gallery of the Gods. These dancers danced hard and with a boundless love for the art form. The diverse group of young dancers performed together as a celebration of movement that utilized each person’s unique gift or skill. There was a strong sense of ensemble and teamwork. The choreography was largely jazz based with highlighted tricks. But, my favorite moment was when the group gathered to form one large tableau on the stage. It was in this moment of ensemble that the real strength of this group came through. Irene Watson presented a thoughtful piece of choreography called, The I in Team. This female solo was well costumed with a long sleeved tunic that accentuated the dancer’s expressive arm gestures. The long limbed Kaitlin Wright seemed made for Watson’s movement style that poured out of her. The elegant use of line balanced well with the sense of weight and flow that was honest and generous. Moments of luscious extension contrasted a theme of fastidious repetition. The final repeated phrase included throwing, catching followed by a rapid swivel-crawl of the feet that became smaller and smaller, tighter and tighter in on the space until she disappeared into the darkness. Life In the Other Side, presented by Michelle Shear, used a life sized frame as a prop mirror in this dance about reflection. These exquisitely talented young dancers were well matched as a pair and played a shockingly convincing mirror images of each other. The thematic use of clutching the throat provoked metaphors for speaking, not speaking, and being silenced. The premise of the relationship and power struggle between the dancer could have been clearer to feed into the final moment of surprise as one shifted the balance to take the upper hand. The dance demanded clean classical technique and benefited from the dancers’ incredible spatial accuracy and sheer strength. Katrina Amerine of Nancy Evans Dance Theater choreographed a solo on fellow company member Ashleigh Doede entitled Beast. Doede is a stunning ballet trained dancer who embodied the powerful floor work and menacing focus beautifully. The piece may have benefited from more shadows in the lighting in order to add intrigue and a bit of mystery to this powerful creature. The bright lighting made this beast seemed more arachnid than anything, but it was definitely fierce. . . and I suspected quite deadly. Dreamscape was a sweetly performed modern dance choreographed by Emily Tatomer. This dance is one that is difficult to capture with words because of the slippery style of movement that seemed to hypnotize me into a bit of my own dream. I do remember waves of movement washing over the stage. This continuous flow of cannons and thematic material is perhaps the cause behind my lacking grasp on design. The dancers wore black and the color along with the amber lighting seemed a little strong for the elusive style of the movement. The dancers performed with an alert attention to space that did not seem representative of a dreamy landscape which made me wonder if the piece was mis-titled, however in retrospect the dreaminess it evoked in me was powerful (in the form of fuzzy memory). Overall beautifully danced and certainly mesmerizing. 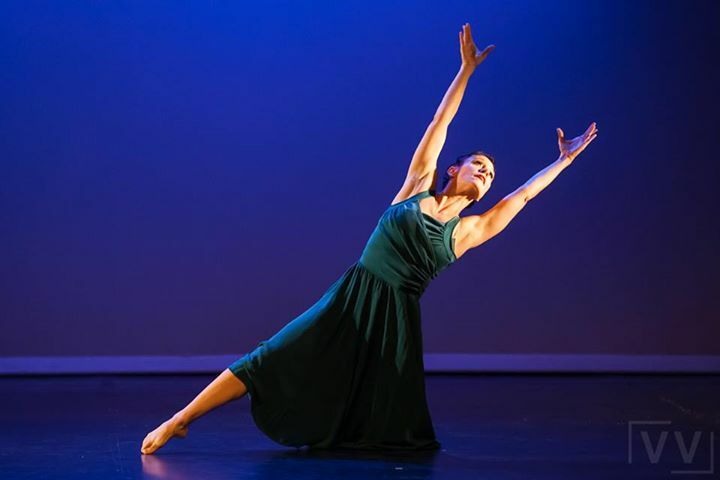 Diane McNeal Hunt of ELEVATE DanceWorks presented a female soloist performing a piece entitled, On the Wings of Hope. This modern dance was rooted in very Classical modern dance aesthetics. The lines were sleek; the flow was lightly bound, and the movement was spatially clean. The piece was very abstract, and it wasn’t until half way through that I started connecting the gestural movement to airplanes. Very specific hand shapes dominated the choreography, and I found myself eager to figure out to what they referred. Then, I began seeing them as abstracted forms of flight attendant gestures, pointing to the exit, showing the seat belt buckle. Then the soloist, clasped hands to pray, and I wondered could this plane be crashing? The piece ended with the dancer facing upstage left, slowly sinking to the ground as she looked to the heavens, arms outstretched and flying. The piece was appropriately performed by a mature dancer who could hold the gravity of the choreography with purpose and care. This dance needed to be danced with a keen sense of knowing from life experience, which this dancer was able to convey with refinement and depth. Manatee – an Ode to my Beloved, was a playful solo created and performed by artbark’s Misa Kelly. Kelly is a powerhouse mover and proof that you don’t need to be 18 in order to have the energy of a tiger. This piece was everything Kelly has become known for. It was surprising, charming, funny and poignant. Never has the reselling of a dream been so vivid (not to mention kinesthetic). Manatee is a refreshing piece of choreography set to Kelly’s spoken text that cleanses the pallet and allows the audience to smile. A regular at the MixMatch festivals, Mary Ann Van De Car presented the work called Love. Each year De Car brings the joyous spectacle of Ruth St. Denis’ early modern dance to the stage with updated players from the B-boy generation. A mix of Chinese silk fans, belly dance costumes, a magician like ring master and three urban dancers, Love used great music and brought an upbeat playful attitude to the show. 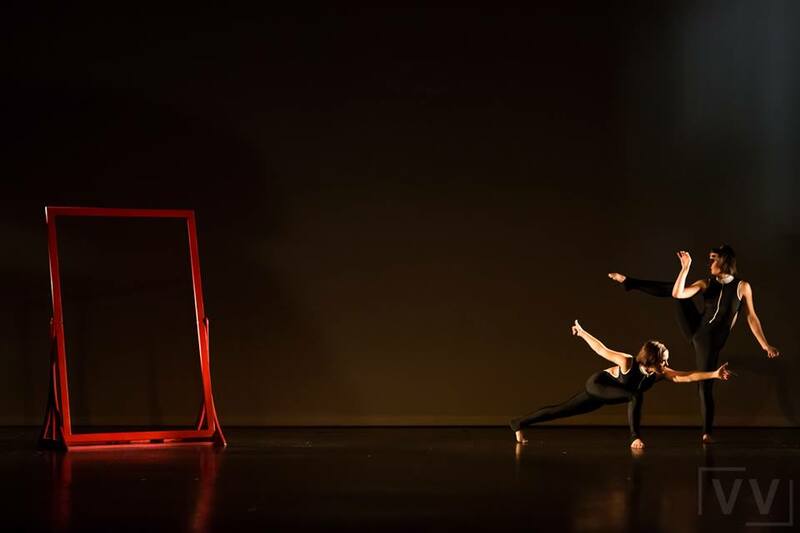 3326 was an intense contemporary solo choreographed by Chelsea Michener. The able bodied dancer rolled and reached, pushed and pulled through the space with high energy and clear focus that is typical of contemporary dance. She revolved around a felt marker at the center of the stage then lunged in before using it to draw streaks and numbers on her legs. The numerical reference was sadly lost on me. And, I was left wondering both what drew this person to the pen and what repelled her from it in equal measure. After seeing her start to write on herself, legs, arms and neck, I couldn’t help but want more! I wondered what it would be like to see her covered in pen! Axxiom Dance Collective’s Joei R. Waldron choreographed Mamela. Set to music of the Lion King, Mamela was another ensemble piece that celebrated the joy of dance and community. The piece opened with a beautifully embodied male soloist whose passion for movement was evident in each torso articulation. The piece then blossomed into a shared experience in which many of the dancers took solos as a celebration of both individuality and community. While the dancers’ technique could have been stronger at times, the glow they emitted was highly contagious. Amanda Hart closed the show with Keep it Fresh. This solo was nothing short of excellent! It seems Hart has found a dancer who is able to embody the complexity of the performance style and technique that Hart herself possesses as a dancer. Dominique Lyons was flirty, rhythmic, playful, and technically solid throughout, and yet her strongest skill was her ability to be completely at ease in her quirky skin. This solo is a crown jewel for HartPulse Dance. Overall this evening’s show was excellent. The technique of the dancers was a notch above while each piece had a true sense of integrity and identity. Part of the beauty of festivals such as MixMatch is that you don’t know what you are going to get as an audience member. 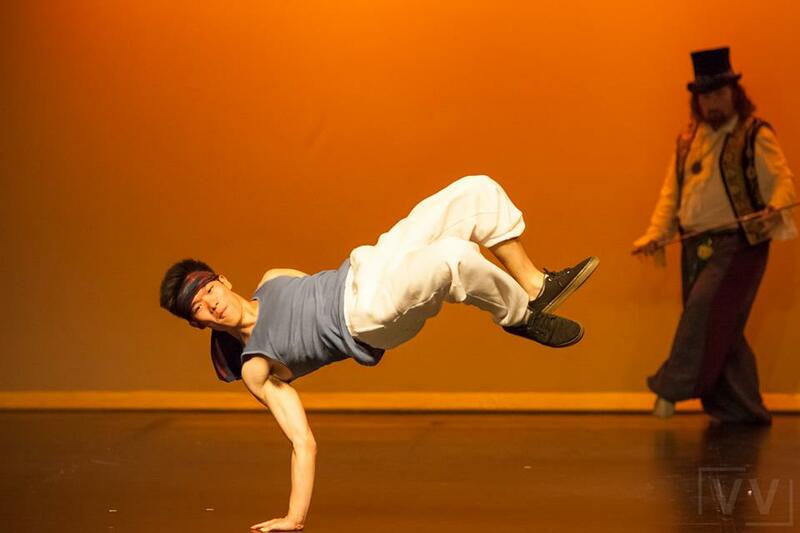 Festivals like MixMatch invite choreographers to take risks that are exciting. And, when it comes together is a well blended show such as this it makes it even sweeter. Please note: My reflections here are aimed to support the artists in their growth while sharing the experience of MixMatch with a wider audience. All criticism is done with compassion. It is honest feedback aimed to support the choreographer and the dancers in their growth. I treat each dance work as a stepping stone on an artists path, and hope that this feedback will be useful in the artistic process. To whom it may concern- Was the friday show reviewed? Thankyou! !